HR trends continually evolve, as demographic shifts alter the composition of the workforce and social, economic, and political trends shape business markets. At the same time, small business entrepreneurs rely on a stable workforce, comprised of capable, reliable individuals. When the supply of competent workers falls short of demand, or market conditions lead to workforce irregularities, it can have a big impact on your business. For that reason, it’s important to stay tuned-in to employment trends, or risk finding yourself in a labor crunch. A timely Entrepreneur article examined global workforce trends, uncovering a handful of key concerns impacting small business human resources. According to the piece, technology, aging workers, and an emerging generation of work-ready professionals are among the top trending topics in workforce development. If they haven’t already, you can expect these trends to show themselves in your workplace this year. CSR is the right thing to do, but it’s also a reputation building tool that elevates your standing with business contemporaries as well as consumers. Public demand for transparency and corporate responsibility are higher than ever, so naturally the closely-held value also impacts HR trends. Simply put, if your professional values don’t align with the current call for CSR, you may have a hard time attracting top talent. Despite the movement’s momentum, it is thought half of companies still don’t hold CSR as a top priority. The oldest members of Generation Z are 23, so the group is flocking to the workforce, as members exit school. It is thought employees from Generation Z may comprise as much as 36 percent of the global workforce by 2020. The generation is the first to come of age entirely in a digital world, so members of Z bring unique demands to the employment marketplace. For example, the tech-savvy group expects software and technology to play a prominent role in work environments, so employers on the cutting edge appeal to members of Gen Z. In addition to riding the wave of technological advances, Generation Z also expects to develop personally and professionally. Wellness benefits, commitment to work/life balance, and flexible growth opportunities will all help your business gain favor with standout Generation Z talent. And make sure to engage Gen Z employees through a freely flowing, two-way communication conduit, readily accepting their input and supporting their efforts to grow within your organization. Welcoming a new generation of working-age adults is only one way the labor landscape is poised to shift in coming years; employers must also accommodate an aging workforce. People are living longer, so a 100-year lifespan may be the new standard for career planning. In Japan, for instance, officials believe at least half the babies born today will live to or beyond 100 years of age. The nation’s government has already taken measures to accommodate longer careers and the increased need for benefits. As people stay on the job longer, employers will be forced to reassess the roles of pensions and benefits, and to accommodate the physical and scheduling needs of older workers. In practice, your organization may spark better outcomes by creating horizontal advancement opportunities for long-time staff members, rather than placing every employee on the traditional path of linear promotions. With the software-as-a-service (SaaS) business model in full swing, scaling software capabilities is an important part of your business growth. The modern tech-savvy workforce expects strong technology on the job and access to the data needed to excel. As a result, end-to-end software suites are the new standard, replacing piecemeal solutions of the past. In today’s fast-paced work environments, it’s critical for software systems to seamlessly communicate with one another and to share data. Properly applied, you can use people analytics gleaned from the systems to improve hiring, boost engagement, and make better strategic decisions. And tech-forward SaaS solutions can help companies track and analyze data for workforce planning, onboarding, employee development, and talent management, among other things. Young employees are more likely to leave a job within five years of their start date than they are to stay on beyond a half-decade. Combined with low employee engagement in some organizations, the phenomenon has led to increased turnover for many employers. In response, some companies are embracing the trend, rather than making drastic changes to keep staffers on board. Taking a lesson from organizations that routinely hire for seasonal and high-turnover positions, some companies are streamlining onboarding, training, and offboarding processes, in order to maximize the value of each worker, while employed. The cost-effective strategy may be prudent, but runs the risk of marginalizing low-skill positions and making staff feel as though they are easily replaced. Workforce trends provide clues you can use to anticipate HR needs and make the most of employee development efforts. 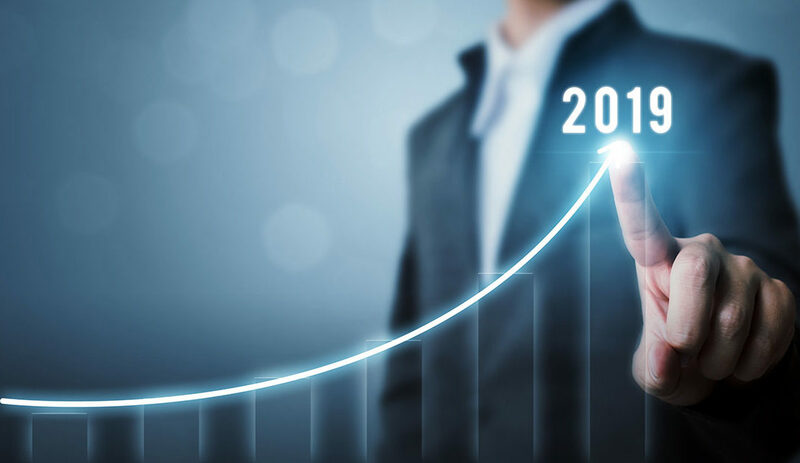 HR technology, shifting workforce demographics, and developments in corporate social responsibility are only a few of the trends worth watching this year.